This company is chasing vanadium — a ‘super metal’ that’s in the throes of a market explosion in light of its recent emergence as a lithium battery ingredient. You may not have noticed, but vanadium is 2018’s best performing electric metal to date. Its price is up 55% in less than three months since January 1, easily surpassing that of the more extolled new energy metals, cobalt and lithium. The good news for investors who haven’t yet recognised the potential in vanadium is that global vanadium supply will be limited in coming years. A low global inventory in combination with growing demand, should see vanadium prices rise even higher still, extending what is now an eight-year high. There’s the huge potential from vanadium redox flow batteries (VFRB), which many believe could be superior better way of storing grid energy than lithium-ion. Yet there are only a few vanadium exploring companies on the ASX, especially those exploring for vanadium as their primary target, making this company a potentially unique opportunity for small cap investors. Further still, there are even fewer that have the rare high-grade variety of vanadium that’s required for evolving battery technology. The newly-acquired project in the established vanadium production hub of Gauteng, South Africa, is a large, high grade magnetite hosted vanadium deposit. It has numerous reverse circulation (RC) and diamond drilling results of intersections greater than 1% vanadium oxide with associated titanium mineralisation in magnetite units. Grade in concentrate (magnetic separates) averages 2% vanadium oxide (V2O5) and 13% titanium dioxide. This company is realising its behind the scenes efforts, having been working towards gaining shareholder exposure to the runaway energy storage market. On top of that, it had the wherewithal to recognise the huge opportunity in vanadium as a key commodity of the future. The opportunity to acquire a project of this scale — and this grade profile — was one not to pass up ... boasting solid potential to deliver some very promising shareholder returns. Of course this is an early stage company and investors should seek professional financial advice if considering this stock for their portfolio. Everybody is looking for the next booming commodity and vanadium is a metal that could be just that. With the supply-demand equation looking the goods for investors, significant coverage of this new energy metal will ensue. The company’s newsflow is expected to ramp up on completion of due diligence, and once drilling gets underway this $11 million-capped junior may not be cruising under the radar for long. ASX junior Tando Resources (ASX:TNO) has acquired a high grade vanadium project in South Africa — The SPD Project. The company listed last year with 100% owned projects located in the Pilbara region of Western Australia that are prospective for zinc, copper, and gold. TNO made the decision to add SPD to its portfolio — and prioritise its development — as it recognised the significant opportunities of this commodity and this project which is prospective for rare high-grade vanadium. TNO has targeted vanadium specifically due to its usage in energy storage, specifically vanadium redox flow batteries (VFRB). Demand for vanadium is expected to skyrocket as its use in batteries for large scale energy storage rises. VFRB technology is expected to take hold largely due to fact that it offers a substantially longer lifespan than existing batteries. The benefits are numerous: up to 20 years longer lifespan; able to hold charge for a substantial time — of up to 12 months; can discharge 100% of its charge without damage; scalability to enable larger scale storage facilities to be constructed; and greater chemical stability as only a single element is present in the electrolyte. TNO today announced that it will acquire 100% of the issued capital in Steelpoortvan Pty Ltd, which has a right to acquire 74% of Vanadium Resources (Pty) Ltd — the 100% owner of the SPD Vanadium Project. The remaining 26% of Vanadium Resources is held by BEE entities including the Steelpoort Development Trust, in trust for local communities. TNO will acquire the SPD Vanadium Project via staged payments of TNO shares at key project milestones. The SPD Project is a globally significant, high grade vanadium deposit delineated by two phases of RC and diamond drilling. Both the Rhovan and Vametco processing plants include refining to generate products used in the global steel making industry and aim to develop downstream processing to produce materials used in the battery market. 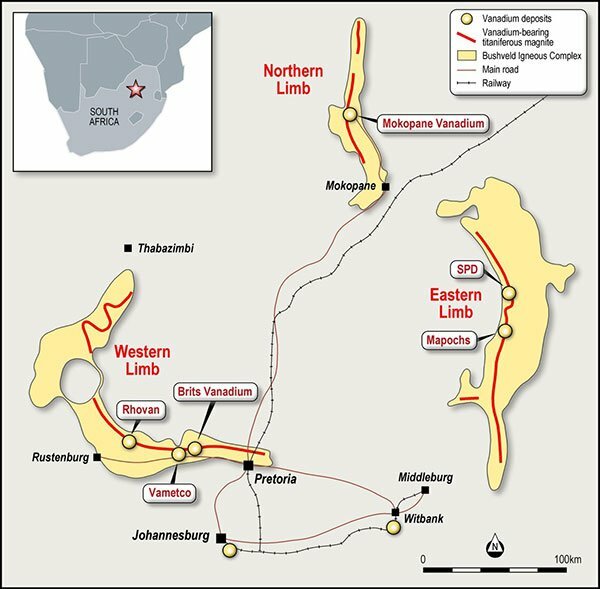 Vanadium mineralisation at the SPD Project is located close to the contact between the Upper Zone and Main Zone of the Bushveld Igneous Complex and adjacent to the Steelpoort Fault. Drill samples were passed through a Davis Tube to obtain a magnetic concentrate. Vanadium and titanium content in the concentrate is very consistent averaging 2% vanadium oxide (V2O5) and 13% titanium dioxide (TiO2). The SPD Project has the potential to be globally significant based on its tonnage and grade in concentrate. 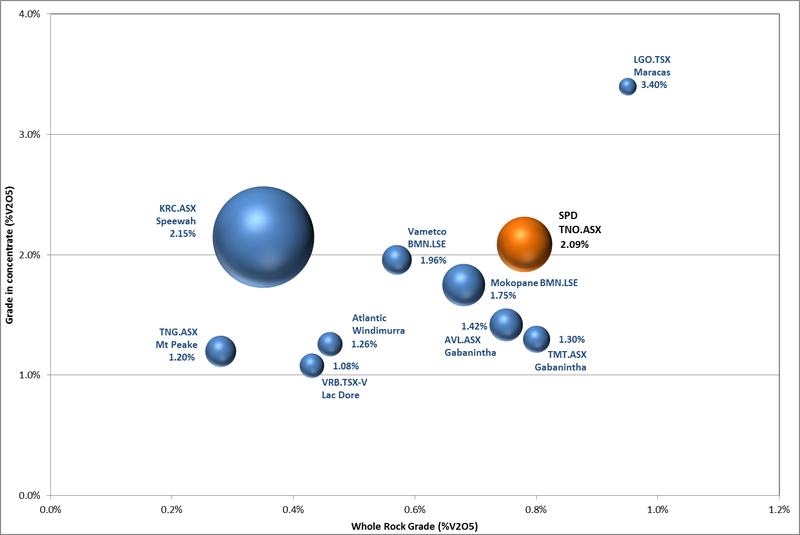 The chart below summarised global vanadium projects in regard to tonnage and grade in concentrate. The bubble size denotes tonnage. 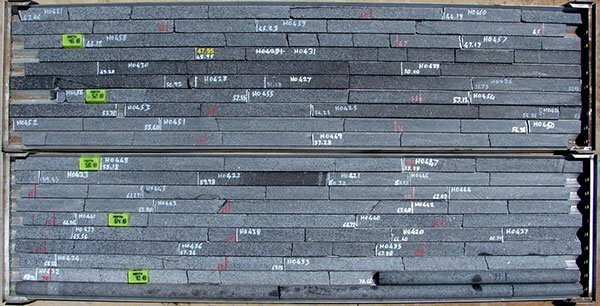 Concentrate grades are based on reported testwork, while tonnes and grade are based on reported total Resources. So far, no further metallurgy testwork has been done, but TNO now plans to complete a testwork programme to determine whether hydrometallurgical processes can extract high purity vanadium and titanium. 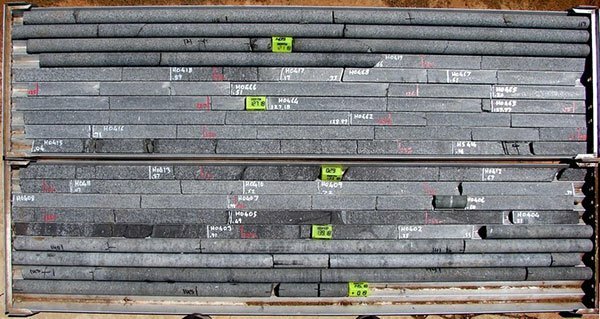 Drilling has been used to estimate a Resource at the project of more than 500Mt under the SAMREC Code, which is ‘foreign Resource’ (as defined in the ASX Listing Rules). A Resource of 513 million tonnes was delineated for the SPD Project by independent geological consultants in South Africa. This Resource for the SPD Project was estimated in accordance with the SAMREC Code (2007) and was classed as Inferred. While this foreign Resource doesn’t comply with the 2012 JORC Code, TNO believe that the data quality and validation criteria, as well as the Resource methodology and check procedures, are reliable and consistent with criteria as defined by the JORC Code. It is anticipated that evaluation and/or further exploration work will lead to the foreign Resource estimate being reported as a JORC Mineral Resource. 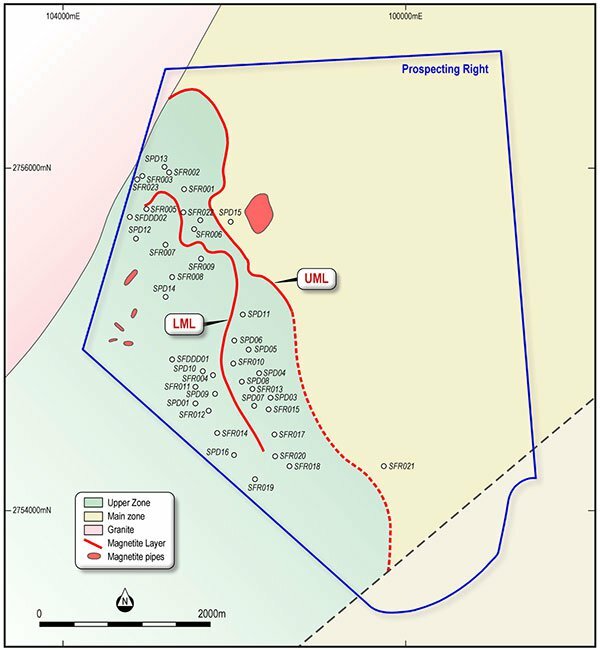 TNO will undertake further assessment and due diligence on the Mineral Resource before a drilling programme is implemented to verify the Mineral Resource at the project and increase the confidence in the Mineral Resource. As part of the acquisition, Martin Pawlitschek will join the Board of TNO as a Non-Executive Director. Pawlitchek has over 20 years of experience primarily in exploration and resource drilling, including exposure to underground and open pit mines. He is currently the Senior Vice President of Geology for a mining focused Private Equity fund, responsible for undertaking technical due diligence on mining projects, principally from a geology and resource risk perspective, but also to evaluate exploration upside. During his 11-year tenure with BHP Billiton, he oversaw numerous exploration programmes in Australia and abroad. Extremely knowledgeable, Pawlitchek has taken part in over 40 detailed due diligence reviews and site visits over the last three years and was a key member in the selection of the fund’s projects to date. Pawlitschek is also a Fellow of the Australasian Institute of Geoscientists and currently holds two non-executive board roles with ASX listed companies. TNO will be hoping he can bring similar successes with him. Yet TNO remains a speculative play and investors should approach any investment in this stock with caution. The company proposes to undertake a capital raising of A$2 million at $0.40, in addition to a 10:1 share split, as it looks to rapidly advance the SPD Project. The proceeds will be used to fund due diligence and initial work at the SPD Project which will encompass Resource delineation drilling, including infill and confirmatory drilling, along with metallurgical test-work on drill core. Xcel Capital Pty Ltd acted as Lead Manager to the Placement which is being completed at a 5.3% discount to the five-day volume-weighted average price (VWAP). Vanadium is principally used in steel making to add strength via various alloys as well as other speciality uses. But while 90% of vanadium is still used in steelmaking, it also has important application in new batteries which can store large amounts of energy almost indefinitely. In fact, this previously unheralded metal could become a vital part of the renewables revolution. And it’s the remaining 10% that’s a higher purity vanadium and more highly valued, having specialty uses including in VRFB. The good news for investors who haven’t yet recognised the potential in vanadium is that global supply will be limited in coming years, while demand is simultaneously taking off. Current supply is mostly Chinese, yet it’s expected to be hampered due to new Chinese environmental restrictions. However, China will also be behind much of the increase in demand. Demand from steel makers is forecast to rise after a recent mandate to construction companies to use higher tensile strength steel rebar, which is created using vanadium, in construction will directly carry over to increased demand. And of course, then there’s the huge potential from vanadium redox flow batteries (VFRB), which many believe could be a superior way of storing grid energy than lithium-ion. The features of VRFBs make them attractive for household or small town sized energy storage requirements. Current VRFB facilities are located in China and Japan, while development of further facilities has been constrained by an absence of supply of “battery grade” vanadium oxide — there is therefore a premium ascribed to >98% products. Prior to acquiring the SPD Project, TNO’s focus was on a number of projects in WA’s Pilbara region. These projects hold significant upside potential, although they will take a backseat considering the huge opportunity on offer at SPD. These projects are the Quartz Bore Project, the Mt Sydney Project, and the Mt Vernon Project. 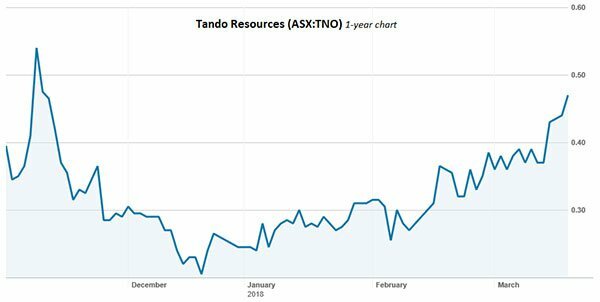 Since its ASX listing and acquisition of its Pilbara projects, TNO have made rapid progress across these three Pilbara assets and demonstrates that the company and its management have what takes to get in and get it done. This fact alone inspires confidence in what it will do with the SPD Project and its vanadium pursuits. After hitting a low in December 2017 of $0.21 per share, TNO is up 130% at 47 cents per share. The company’s acquisition and renewed direction will only strengthen its position, opening its share registry up to new investors that have been trying to find a company with a high-quality vanadium project on its books. Yet, TNO still has a great deal of work to do to prove up its projects and thus investors should seek professional financial advice if considering this stock for their portfolio. In the SPD Vanadium Project, TNO has on its hands a globally significant, high grade vanadium deposit located in a known vanadium producing region. Armed with a highly qualified management team and adequate funding, the company looks to have the goods to capitalise on the opportunity and see this unique project reach its full potential.